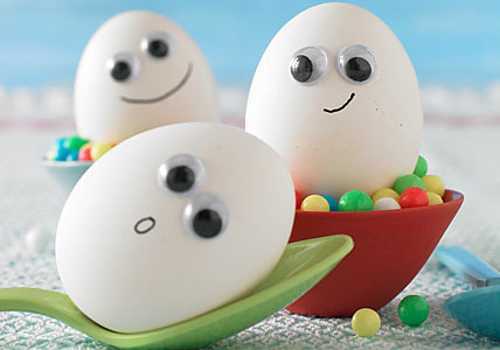 Easter egg decorations and ideas are a great spring topic. 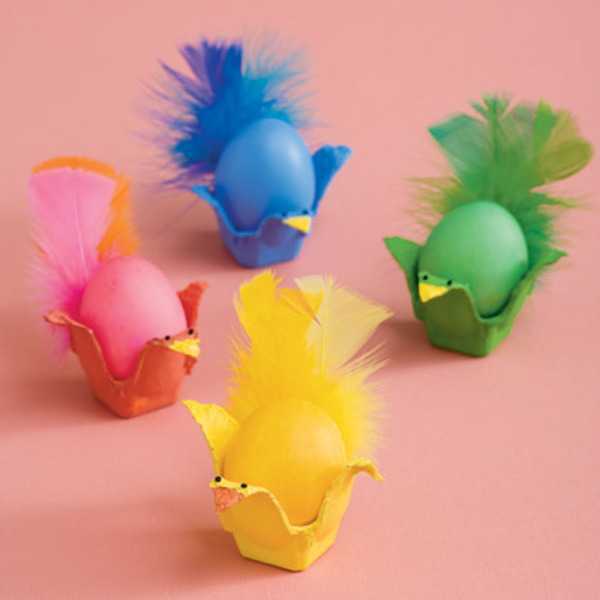 Whether you have little kids or not, Easter egg decorating and making Easter decorations are fun activities that bring joy, unleash your creative and help decorate your home for spring. 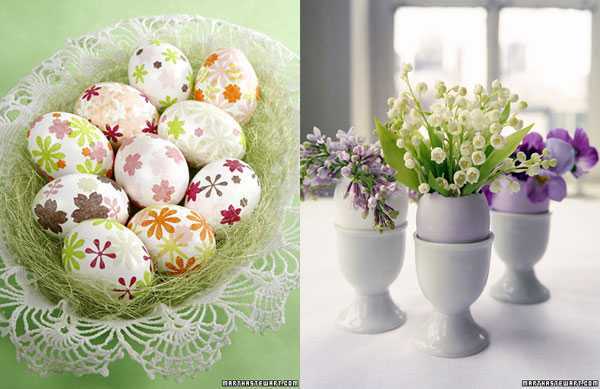 There are so many innovative and traditional ways to decorate Easter eggs and create Easter table centerpieces or gifts. 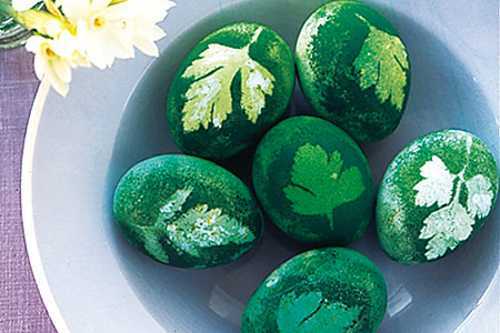 You can design gorgeous spring displays with eggs or without them. 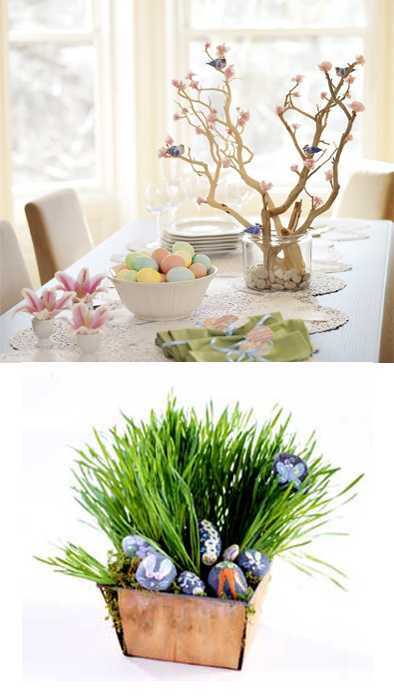 Easter centerpieces with blooming tree branches and spring flowers look gorgeous, adding a seasonal mood to your spring party table decor. 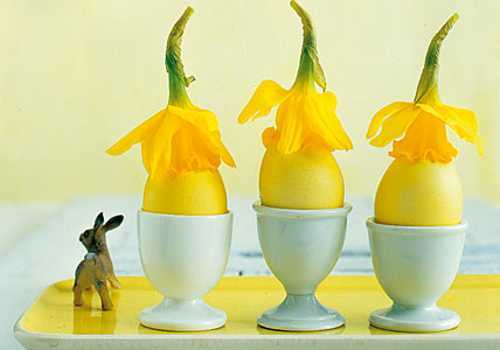 Unusual, funny and whimsical Easter eggs decorating ideas show your talents and add a surprising details to table decor in spring. 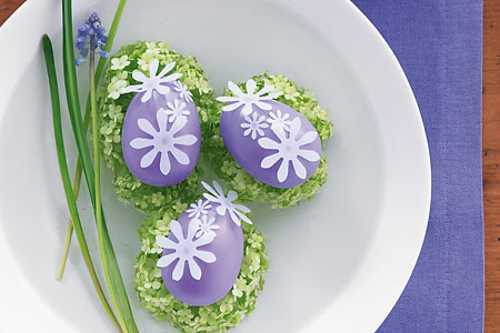 Eater eggs decorations and bright spring table centerpieces can be created with crayon colors, stencils, small stickers, leaf prints and fingerprints. 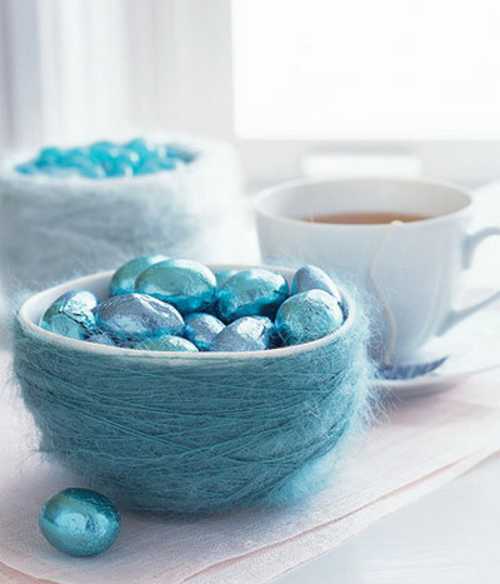 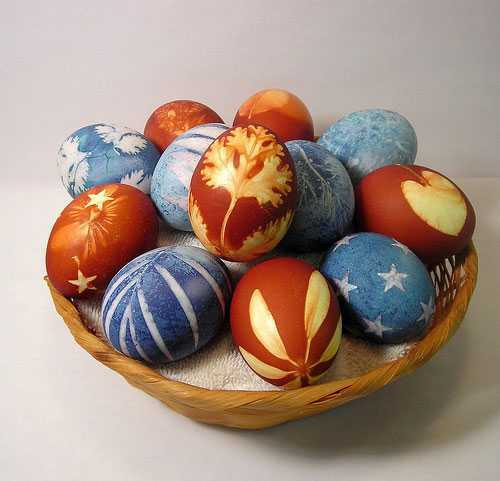 Rubber banded eggs and tie-dyed eggs make gorgeous Easter decorations and gifts. 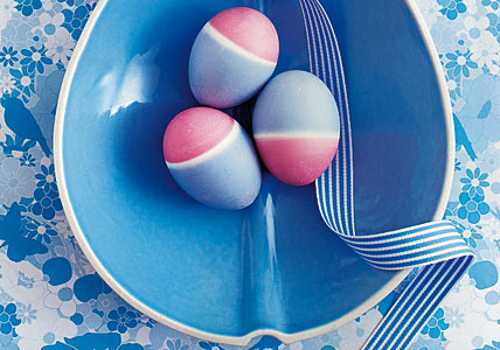 Marbleized eggs and painted eggs add an artistic touch to Easter decorating ideas. 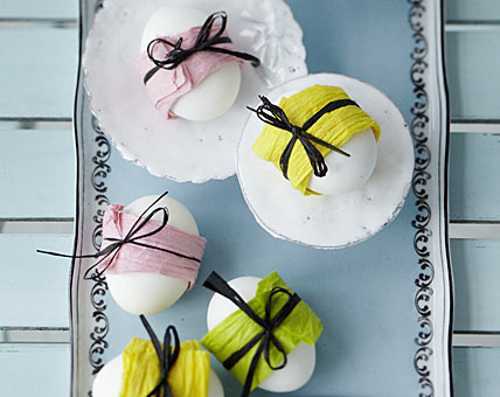 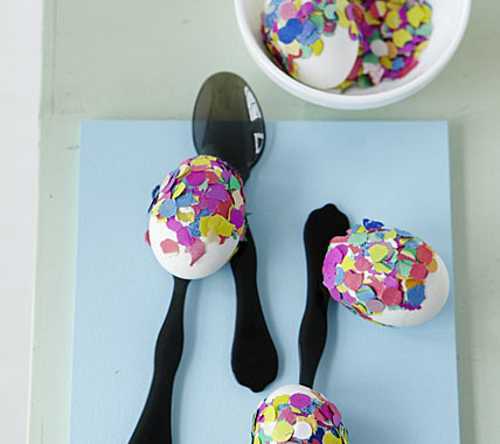 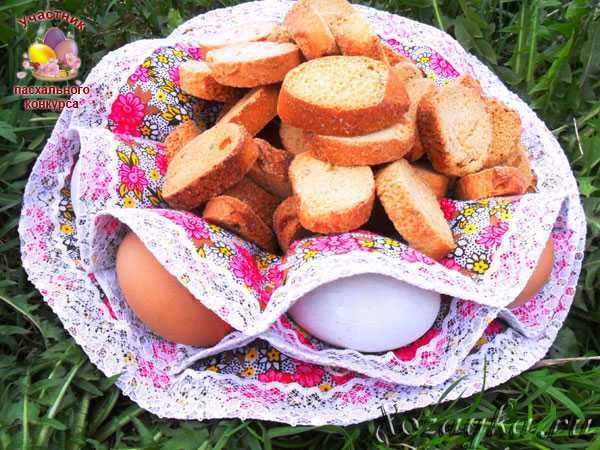 Simple polka dot decorations patterns and stripes turn white eggs into bright masterpieces. 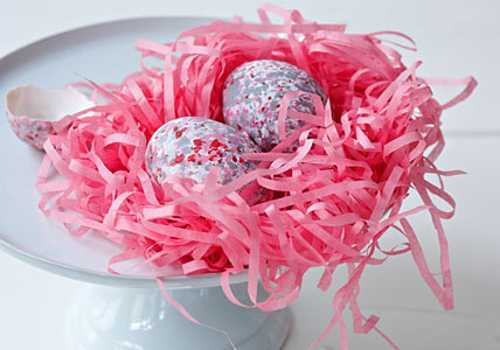 Check out the collection of Easter egg decorations and ideas, get inspired and be creative, having fun while preparing Easter table centerpieces and small spring gifts. 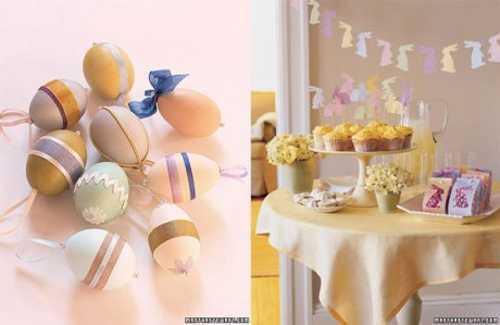 Making bright and cheerful Easter egg decorations is exciting, and it adds unexpected, interesting and bright designs to your Easter home decorating. 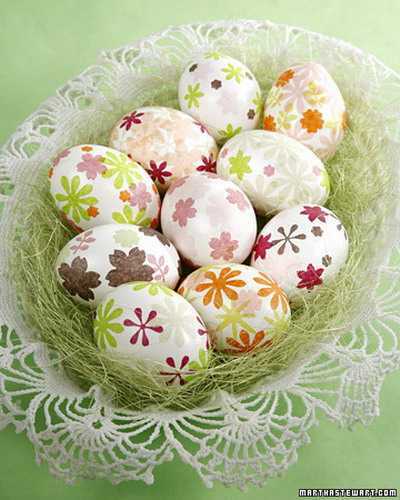 Create Easter egg decorations with unique character, using an original decorating themes. 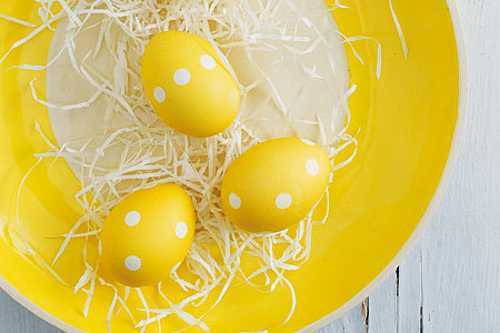 An Easter egg family or funny characters created with eggs will look fabulous on your spring holiday table with sweet treats, green grass, blooming tree branches and spring flowers. 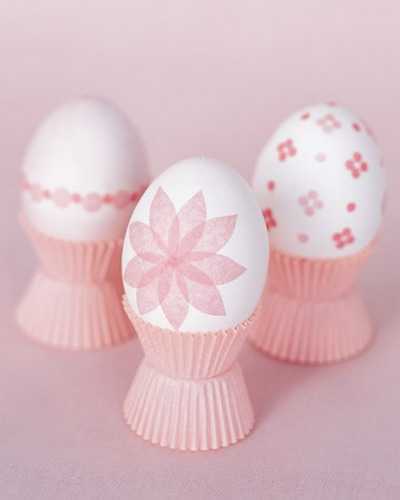 Decorate empty eggshells with intricate patterns, creating very special Easter decorations and gifts, that can be kept for many years to come and not go bad. 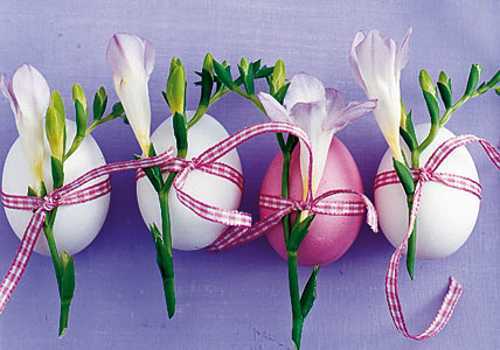 Design candle holders or planter pots out of your painted eggshells by breaking the top and putting a small plant or a tea candle inside. 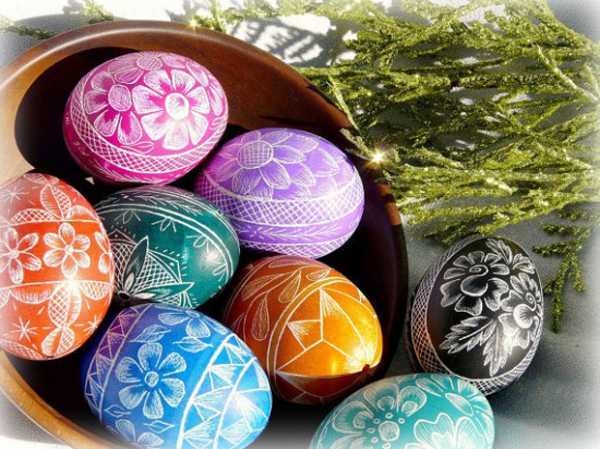 Easter egg decorations, created with eggs and common things you find around your home, look eye-catching, friendly and interesting. 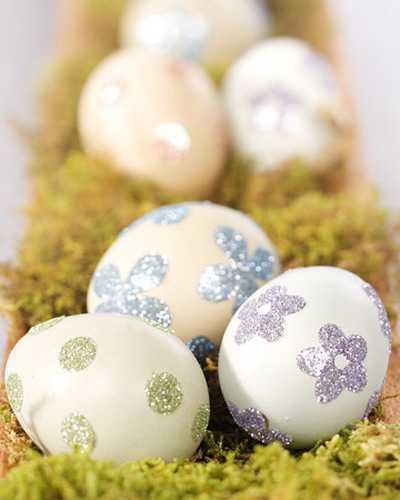 Wallpaper and tissue paper, aluminum foil, sequins, buttons, yarn, rubber bands, ribbons and glitter are excellent materials for Easter crafts. 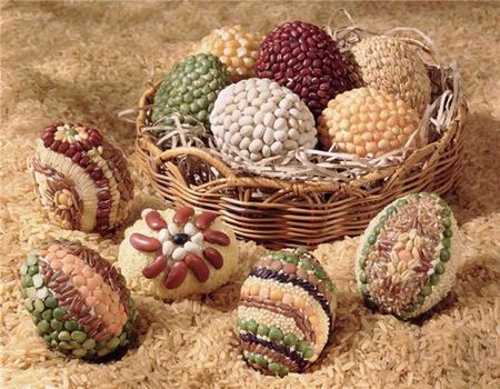 Rice and dry beans, sugar and cereals add personality to your Easter egg decorations, making your ideas unique and impressive. 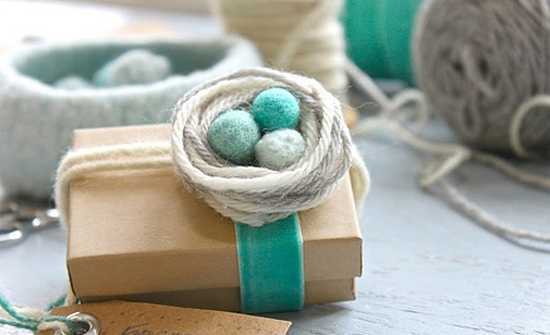 The possibilities are endless, offering you an enjoyable experience.